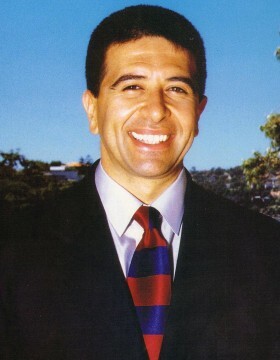 Vince Sorrenti is one of Australia’s best known and leading comic entertainers. He is in high demand for everything from after dinner speaking to product launches, sports hospitality, awards ceremonies and any manner of corporate, fundraising, sporting or public event. Vince performs around 200 shows a year in Australia and overseas. Vince has a long history of experience, cutting his teeth in Architecture Revues in the early 1980s and in the burgeoning stand up comedy scene that he helped create. After graduating as an Architect in 1985 he threw full weight behind his real talent and has performed to ecstatic crowds on thousands of stages all over the world. He has hosted TV programs in Australia and the United States, appeared in movies, released comedy albums, performed in festivals, and been a guest on countless talk and variety programs. He has thrice won the Mo Award as Australia’s best comic. Vince Sorrenti is a gifted screenwriter. He has won a Gold medal at the New York Film Festival for his documentary No Laughing Matter in which he also starred (playing all 7 characters !). His feature film script Gino won full FFC funding in 1990 ($2.5 million). Vince has also written hundreds of feature articles for publications including The Bulletin, Sydney Morning Herald, The Weekend Australian, Vacation, etc. Sorrenti has demonstrated his versatility over the years being everything from a sports commentator on American Superbowl to a debating captain on shows like Good News Week. This has been the key to his popularity on live stages at a blinding array of events. Vince is hilarious as hundreds of testimonials and a staggering amount of repeat work Vince testifies. Since immersing himself in the world of corporate entertainment Vince has become the yardstick all corporate entertainers are measured by. Can you afford not to use Vince ?